This was such a delightful book. It was fun to read and we loved the colorful illustrations. I couldn't help thinking that this reminded me of a Dr. Suess book as I was reading the rhyming text and looking through the imaginative drawings. My son took the time to look at every illustration carefully. He's a kid who pays attention to details. He thought this was a cool book. 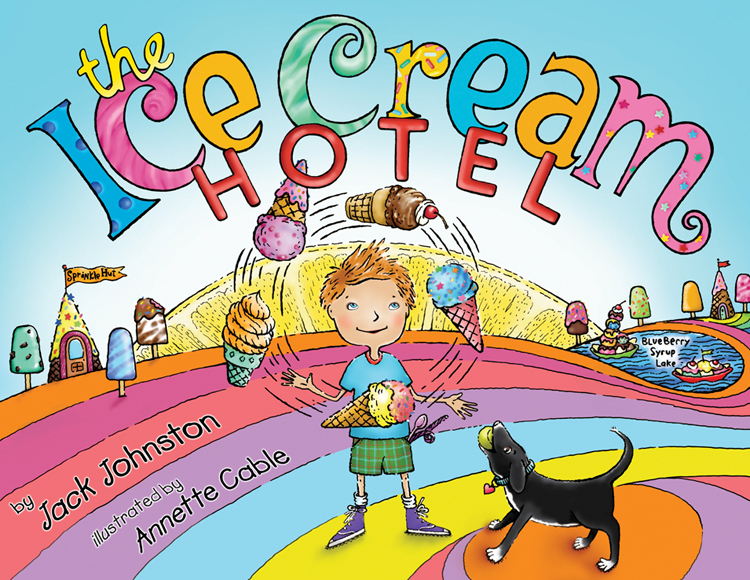 The book starts with the words, "When life just seems blah, and lacking in flavor...When the colors of your world leave nothing to savor..." and then goes on to introduce the reader to a wonderful imaginative place, The Ice Cream Hotel. I love books that bring children to dream of doing what is different, to use their imagination, to invent, to explore. At the end of the book it tells us that there are at least fifty-five tennis balls scattered throughout the pages, so we went back and went looking for them. 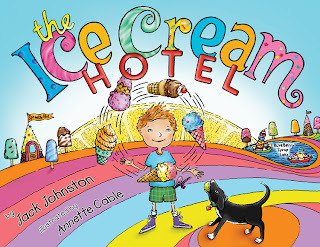 The website www.TheIceCreamHotel.com also offers some simple activities such as word searches, coloring pages and puzzles for kids to do. This is a beautiful book for lovers of everything sweet, especially ice cream. Disclosure: Thanks to author for sending us this book for review. We were not compensated in any other way, nor told how to rate or review this product.